Research suggests that a financial incentive approach to increasing patient uptake of diabetic eye screening (DES) could actually discourage attendance. The study, funded by the National Institute for Health Research, investigated whether offering patients a financial incentive to attend DES would increase uptake rates among patients that had been identified as poor attenders. The findings suggest that not only are financial incentives not an effective approach to increasing DES uptake, they may even reduce the number of people attending. 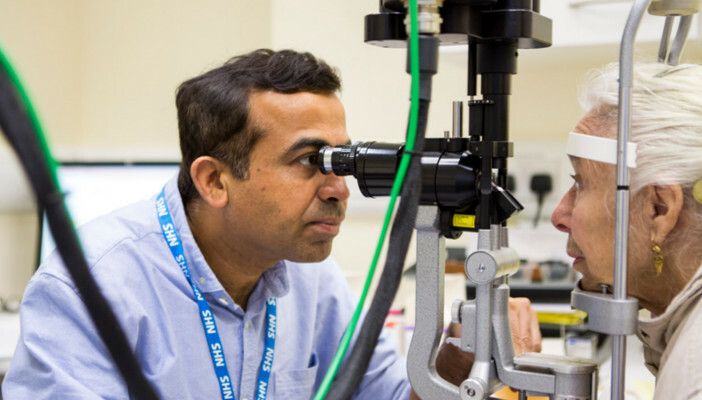 Diabetic retinopathy is one of the leading causes of blindness in the working-age population in England, with 1,600 new cases being diagnosed each year. In the UK, more than 3.5 million people have been diagnosed with diabetes, and of these, a recent estimate suggests that just over two in 100 are living with some form of diabetic retinopathy. As early diagnosis and treatment can significantly reduce the risk of blindness, the UK national diabetic eye screening program offers an annual screening for anybody with diabetes over the age of 12. Currently, the rate of screening uptake is 81 per cent, and previous research has indicated that rates are lower in more socio-economically deprived areas. As early detection can help to prevent avoidable sight loss, there is a need for an effective and affordable scheme to encourage people to go to screenings. An increasingly popular approach to encouraging healthy behaviours, such as quitting smoking or getting vaccinated, is through the offer of a financial incentive. Current evidence reviewed in the report suggests that offering a financial incentive is more successful when promoting infrequent behaviours. Example include getting vaccinated, or in this case, going for an annual DES. This is in contrast to more sustained behaviours such as smoking. As such, incentives could be expected to be an effective strategy to promote screening uptake. The study was based at the diabetic retinopathy screening clinic in St Mary’s Hospital, London. Researchers set out to test whether offering patients a financial incentive to attend a DES would increase uptake rates. Control group – sent the usual appointment invitation letter with no financial incentive. Fixed incentive group – sent the usual letter, including a voucher for £10 if they attended their appointment. Lottery incentive group – sent the usual letter, including a voucher promising a one in 100 chance of winning £1,000 if they attended their appointment. While just under eight per cent of participants from the control group attended the screening, there was even less uptake from the groups who were offered a financial incentive (just over five percent from the fixed group and three per cent from the lottery group). Offering an explanation for the “unexpected” observed negative effect, the report suggests that being offered an incentive for a health check may make people think the appointment must be unpleasant. The review notes that while previous studies on screening and incentives have often been found to be effective, this is not always the case. With regards to diabetic screening, the report points to a previous study in the USA (paywall), which had a similar outcome of a lower screening uptake supporting the recent findings.